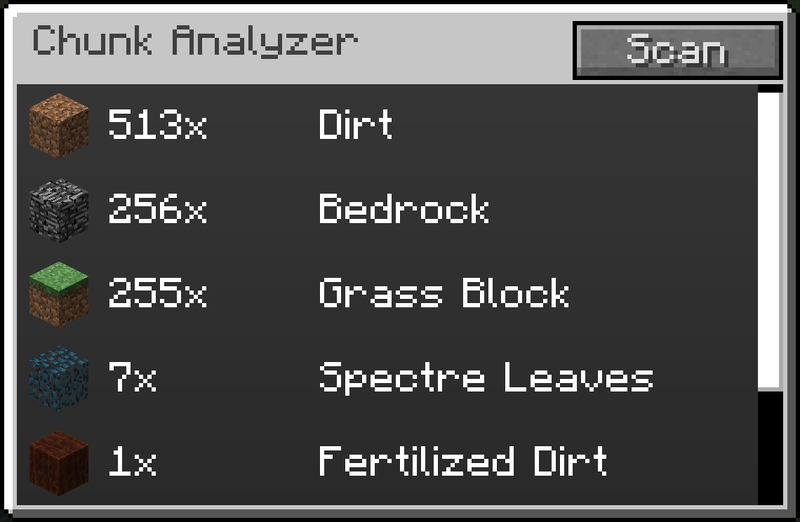 The Chunk Analyzer allows you to check what blocks a chunk contains. Open its gui and press Scan. After a few seconds you will get the results for the chunk you are in.